Curtis previously worked for 15 years at NatWest Bank, 10 years of which as a financial adviser. Before being made redundant from the bank, his priorities during this career focused on customer service and developing his knowledge, which saw Curtis achieve the prestigious Advanced Diploma with the Chartered Insurance Institute (CII) in 2016 and becoming a Chartered Financial Planner. Curtis believes in placing his clients at the centre of everything he does and this is achieved by providing an exceptional service and building professional relationships based on trust. He is now looking forward to providing truly independent financial advice from the whole of market, on a bespoke, individual basis, rather than being restricted with his advice and solutions compared to previous roles. As a Chartered Financial Planner, he specialises in investment wealth management, inheritance tax planning, retirement solutions and protection provisions for clients and their families. 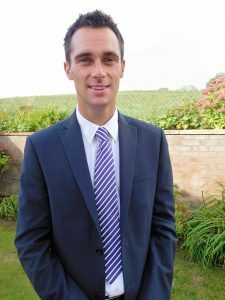 Curtis is married, with two young daughters and enjoys spending time around North Devon, exploring the coastline. A big football fan, playing for his local side and supporting Tottenham Hotspur.